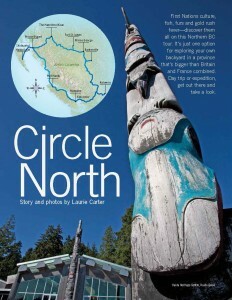 First Nations culture, fish, furs and gold rush fever—discover them all on this Northern BC tour. It’s just one option for exploring British Columbia, a province that’s bigger than Britain and France combined. Day trip or expedition, get out there and take a look. 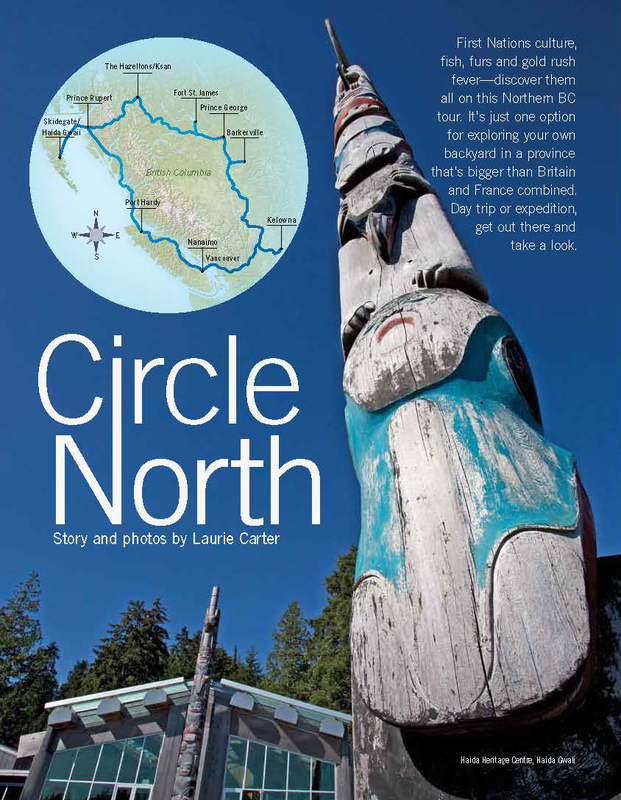 In this Okanagan Life article I circle north on Vancouver Island to take the BC Ferries Inside Passage route from Port Hardy to Prince Rupert, then board another ferry for Haida Gwaii. Back on the mainland I check out the Museum of Northern BC in Prince Rupert and the North Pacific Cannery National Historic Site in Port Edward. Heading inland along Hwy 16, stops include Ksan Historic Village and Museum in The Hazeltons and Fort St. James National Historic Site before heading south to wrap up the tour at historic Barkerville. I received some assistance for parts of this trip from BC Ferries, Tourism Northern BC and Barkerville Historic Town.